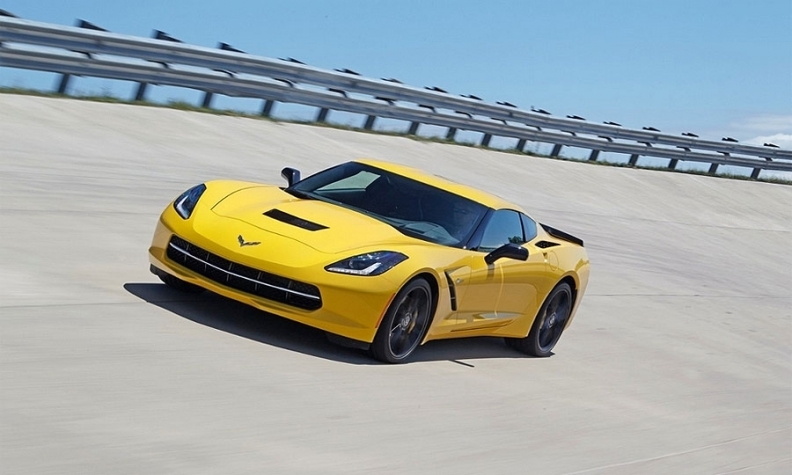 Composites specialist Continental Structural Plastics molds a variety of structural parts and exterior parts, including body panels on the 2016 Chevrolet Corvette. Plastics have seen increased opportunities to get onto North American-made cars and trucks as automakers work to improve their fleets’ fuel economy. But the real growth lies ahead, when the need to reduce mass from today’s cars climbs to 15 per cent and higher. In a new study, the Center for Automotive Research in Ann Arbor surveyed exactly what went into 44 different 2015 model year cars, then asked what materials carmakers would turn to if they need to cut 5 per cent, 10 per cent and finally 15 per cent of the weight out of key parts. “If you really have to get lighter weight vehicles, there is a huge shift to composites, and especially carbon fiber,” said Jay Baron, CEO of the research group. “Even in pillars and crossbeams and rails. The study, conducted with support from nine automakers, was intended to get deep inside individual parts on real cars currently on the road. The automakers, who provided detailed information on their parts on the condition that CAR not disclose the vehicles used in the study, is intended to show what the industry must do to improve vehicle weight without reducing safety or performance. The cars and trucks chosen for the study were all mainstream vehicles and make up more than half of the U.S. car sales volume to represent the entire car fleet, not just a few specialty brands. Baron and other members of CAR met with the National Highway Traffic Safety Administration Dec. 5 to discuss the study. NHTSA oversees the Corporate Average Fuel Economy standard, which is set to increase regularly through the U.S. with a goal of 54.5 miles per gallon (4.3 litres per 100 kilometres) in 2025. Although another federal department, the Environmental Protection Agency, has pushed ahead emissions standards changes in advance of the incoming Donald Trump administration, NHTSA has not made any changes to the CAFE plans at this point. CAR hopes NHTSA can use its study along with other research to determine the pace of CAFE changes. Automakers have met improvements to fuel economy numbers so far, but the bulk of those moves have been by implanting changes that were fairly easy to bring to market, especially in the powertrain. Those improvements include using high temperature, high performance plastics under the hood. “There has been a lot of off-the-shelf technology that has been deployed, which maybe needed a few more years of development,” Baron said. “But rather than lagging and waiting for the consumer demand, it got into the car quicker. The report points to automakers’ first choices for parts being high strength steel and aluminum when they need to trim just 5 per cent of the weight. Metal systems are simply more familiar territory for automakers, he noted, while Ford Motor Co. already has established good production systems for aluminum with its aluminum-bodied F-150 truck. Once they have to trim 15 per cent, though, the material landscape changes, even in structural parts. Auto flooring systems could potentially see a big shift to carbon fiber even at 10 per cent weight reduction levels. But while carbon fiber and other composites are seen as a strong contender for weight reduction, automakers also ranked composites as the “most challenging” to introduce into high-volume vehicles. It’s not just a question of cost, Baron said, but of how to fit composites into the existing manufacturing infrastructure. Automakers simply do not have the expertise in producing composites now, and do not necessarily want to hand off molding of key components to a variety of outside suppliers. Private and public research groups such as the Institute for Advanced Composites Manufacturing Innovation will play an important part in finding the best, standard production processes for composites, he said. “Where is the leadership going to be to establish these processes for composites, for the high-volume production supply chain that is needed? This lack of a supply chain is a major barrier,” Baron said. The full CAR lightweighting report is available on the research group’s website.